Description Welcome to the brain stars. 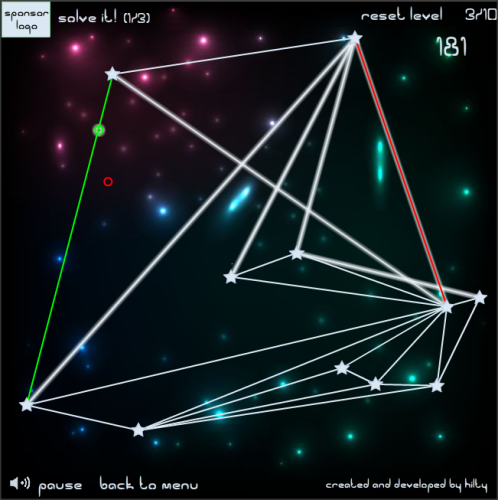 The game is very simple: move the stars. Lines must not intersect. you will always have a new challenge. 51 levels to challenge you to solve. Click on the stars in the middle of the game and move. The level ends when no line intersects.